Flights to Polokwane are abundant. There are many flights to Polokwane, yet almost all of them route through Johannesburg. This is so, even though Polokwane Airport is deemed the international point of entry into the Limpopo Province. With an IATA airport code of PTG, Polokwane Airport has a category 9 license and is relatively near to the city, located only 7 kilometers away. Due to a military base being situated nearby, the airport does not receive much fanfare and publicity. That said, the flights to Polokwane have increased substantially, mainly due to growth in the mining, agricultural and tourism sectors in the province. The main flights to Polokwane are from Johannesburg, as mentioned above, and those from Polokwane are mainly back to Johannesburg or chartered flights, either to destinations within SA or to nearby international spots. Often, travellers with a bit extra to spend use Polokwane as they are looking to visit wildlife ranches or game reserves such as the Kruger National Park or nearer, smaller reserves. Huge investment has gone into the city of Polokwane in the last two decades and it is now often referred to as the “Gateway to Africa” by some, due to it’s central position among the southern African countries: South Africa, Namibia, Botswana, Mozambique, Swaziland and Lesotho. Polokwane on a flight itinerary carries a cost of around ZAR6,000 return if flying from Cape Town via Johannesburg, yet flights can reach ZAR15,000 on certain carriers at certain times. Click here to book flights to Polokwane at the lowest prices and see all the options one has to fly to this fabulous city. 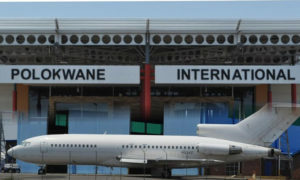 All in all, flights to Polokwane are usually for business or pleasure, with a minority travelling to the city for longer term reasons such as family or long-term contracts.